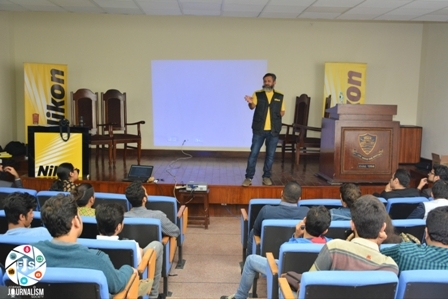 Forman Journalism Society organized a three-day Photojournalism Workshop in collaboration with Nikon Pakistan from 17 November to 19 November. Certain nationally acclaimed names associated with the world of photography shared their experiences of working behind the lens along with introducing the students with certain tips and tricks in order for them to bring life to the images they capture. 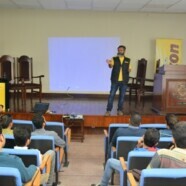 Mr Agha Rizwan along with Mr Arshad Ghouri kicked off the workshop on day one of the event whereas Mr Nasir Saeed, CEO Nikon Pakistan, also attended the opening ceremony and handed over certificates and shields among the faculty members of the Mass Communication department and FJS council members. 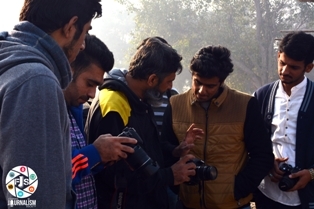 Selected students also availed the opportunity of travelling to Hiran Minar in Sheikhupura along with FJS council on the third day of the event as the experienced photojournalist Mr Agha Rizwan made the young and talented photographers aware of the techniques behind outdoor photography. Certificates were also distributed among the attendees of the workshop on the last day of the event.